My Victorinox Cyber Tool was the first real Swiss army knife I got, and I was lucky enough to win it through a radio show. This version of the Cyber Tool is the most complete version that Victorinox made, and has 41 tools by their count. While I must admit I don’t use all of them, a great deal have been extremely useful over the years. 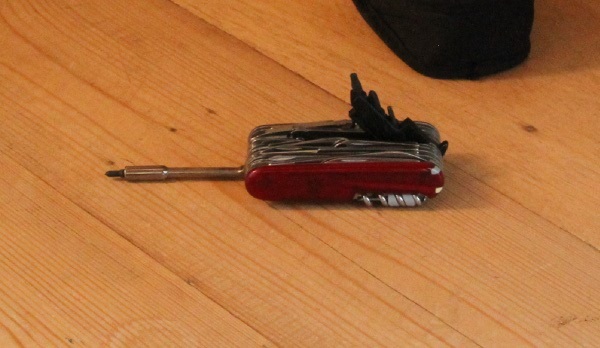 The most unique features of this particular knife, is that it has a socket driver, which has been used to open and repair computers and other electronics. It has now been discontinued. My Wenger Ranger 55 knife has gone camping with me many times, and has been used for a very large amount of tasks, including cutting cardboard, rope, opening tins and sawing fire wood. I decided to get the version that included a bottle opener – rather than a screw driver – because it seemed more likely that I would need that tool when camping, however I think all of the wine I have enjoyed while camping was either a screw top, or in a box. I originally ordered a black version of this knife, but received a version with camouflage themed scales. I decided to keep it. 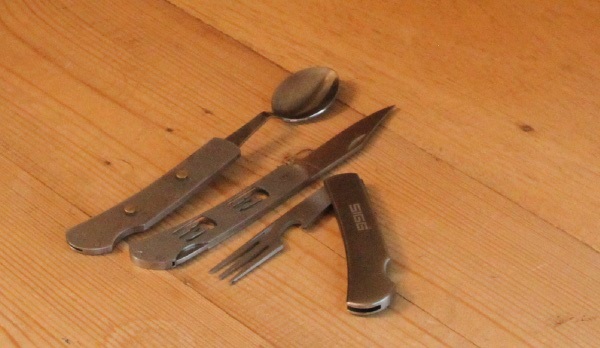 Also for camping, my Sigg cutlery set has been very handy. Personally, I would have preferred it if they hadn’t included the bottle opener on the fork – as it seems that almost every other multi-tool has a bottle opener already. But, despite the strange shape of the fork and the sharpness of the knife, it has served me well. It turns out that the spoon gets most of the eating action in this set – and the knife and fork are more often used while actually cooking. 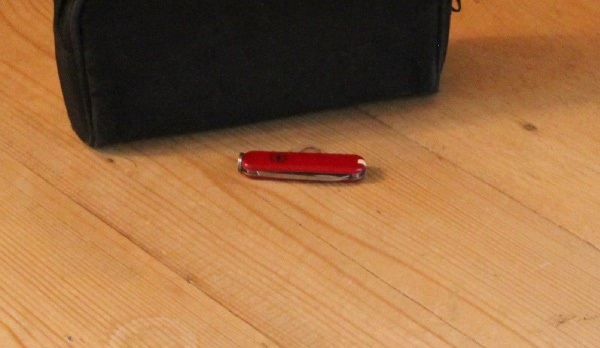 The tool I use the most by far is my tiny Victorinox Classic pen knife. 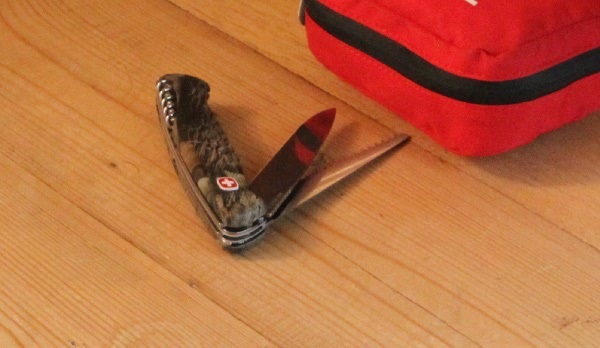 This little knife usually lives inside a bag which also contains various medications and nail clippers. I’m guessing this is also the most used pair of scissors I own – outside of my kitchen. Around the flat I tend to use my Leatherman Wave for a number of tasks, the pliers have helped out when fixing handles on doors, and the large blade has been very handy for cutting cardboard. I have a number of bits which can be used with the screwdriver which are great. This is also the sharpest blade I have. When I am out doing astronomy (or hanging around our observatory) I always take my Astronomy Every Day Carry tools with me. 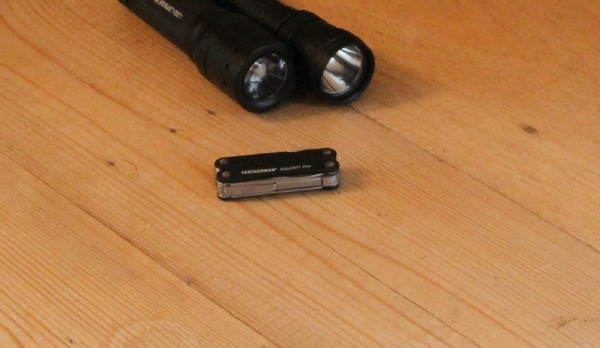 Included in the kit is my little Leatherman Squirt PS4. The pliers, knife, screwdrivers and scissors all get plenty of action with this tool, and I’m always pleased to have it when I need it. 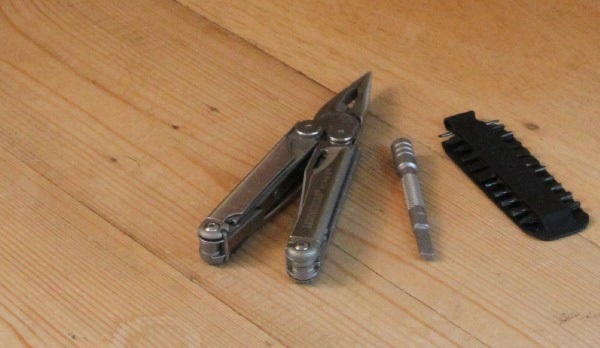 The Swiss-Tech Utili-Key 6-In-1 is the smallest of all my multi-tools, and the one that goes with me literally everywhere. 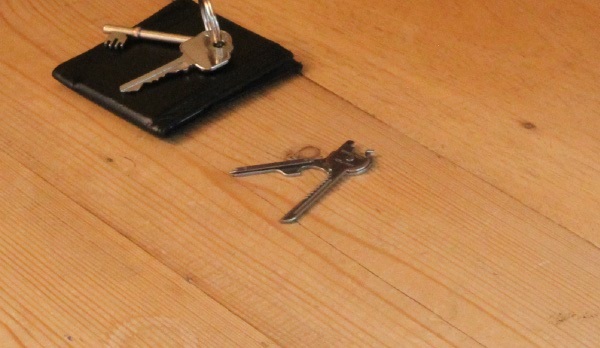 There’s no chance I’d go for anything larger, as keeping my keys small is the top priority… but thanks to the small size of the Swiss-Tech Utili-Key, it is no worse than carrying one extra key. I mostly use the blade on this tool, but the tiny screwdrivers have saved me on a number of occasions.